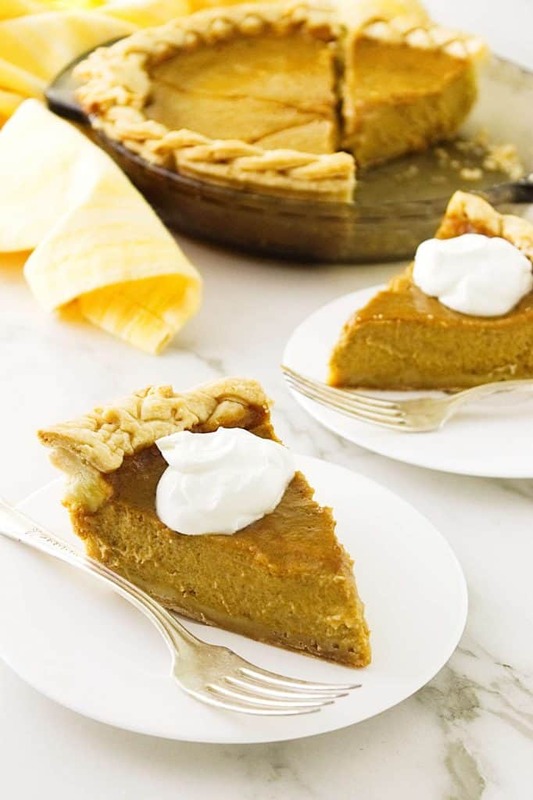 This copycat Costco pumpkin pie recipe has an incredibly silky-smooth and creamy texture. It is a perfect re-creation of Costco’s legendary pumpkin pie. I believe pumpkin pie must be the most popular pie for Thanksgiving. It seems to be on every table and every year Costco seems to sell out of their pumpkin pie. Have you ever heard Costco customers complaining when the store is sold out of pumpkin pie the day before Thanksgiving? It’s quite a scene. This copycat Costco pumpkin pie will ease all your worries of any short supplies at Costco. I have to admit that Costco has perfected their pie. I can’t say as much for their pie crust but certainly, their pumpkin filling is foolproof. This recipe fulfills your wishes for that same ultra-creamy and smooth custard filling that Costco has accomplished. It isn’t too sweet and it has just the right amount of spice to allow the pumpkin flavor to remain the star. Costco’s pumpkin pie is 12 inches and weighs over 3 pounds. That’s a lot of pie for a holiday dinner that is known for unreasonably excessive amounts of food. Our Thanksgiving dinner is always followed by more than a few sweets to choose from but most of the guests are pretty full when it is time for dessert. 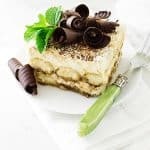 Since it is hard to turn down a delectable confection, everyone asks for “just a sliver” of each dessert. This recipe has been scaled down to a normal size 9-inch pie. It is just right! Pumpkin pie is actually an egg-based custard. Custards require gentle, low heat and should only be cooked until the egg base is set. If the pumpkin filling is firm when you remove it from the oven, it is over-baked and will lose that smooth texture. 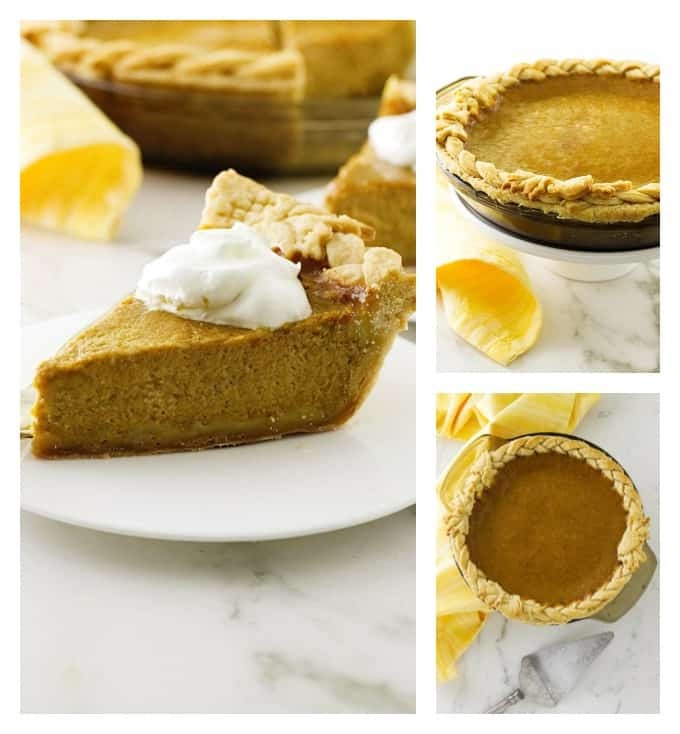 To enhance the creamy, smooth and rich texture of the pumpkin pie, there is a greater proportion of yolk in this pie. Replacing some of the egg whites with egg yolks contributes to a more tender and creamy texture as well as creates a richness and depth of flavor. There is also a higher proportion of cream to milk in this recipe. It just won’t turn out the same if you replace all the cream and milk with half and half nor will it be the same if you replace the milk with a non-dairy milk. 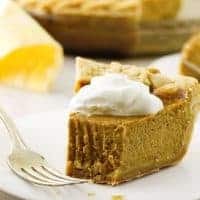 You can certainly create a pumpkin pie that is dairy-free but if you are looking for that quintessential Costco pumpkin pie flavor and texture, you will want to use real dairy. Costco uses canned pumpkin for their pies. That’s pretty much a no-brainer since they are baking on such a large scale. But the type of pumpkin they use is pretty important to the taste and texture of their pie. I have learned through the Costco Connection magazine that they use the Dickinson variety of pumpkin. This variety of pumpkin has a more assertive pumpkin flavor and a texture more suitable for baking. This is certainly another secret to the ultimate Costco pumpkin pie. If you’re at a loss for finding Dickinson pumpkin, don’t despair. 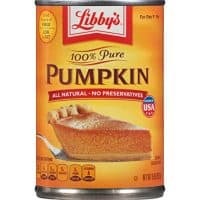 Libby’s uses a Dickinson variety in their pumpkin purée. If your feeling especially adventurous and have the forethought to plan well in advance, you can plant your own Dickinson pumpkins. 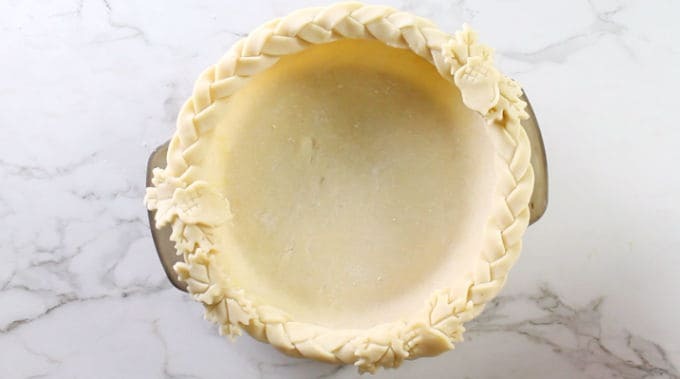 Since you will be baking the pie at a fairly low temperature the crust needs to be baked in advance or it simply won’t get completely cooked by the time the custard filling is finished. Pre-baking (or blind-baking) the crust ensures that both the crust and the filling will be perfectly cooked. No soggy-bottomed crust in this copycat Costco pumpkin pie! Watch our video to see how easy it is. Pre-baking the crust is really quite easy. The trick is to solidify the fats in the dough before you put it in the oven. Once you have the pie dough in the pan, pop the whole thing in the freezer for about 15 minutes before putting it in the oven. 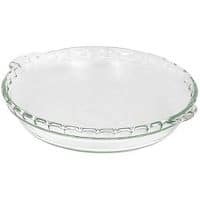 You will also want to line the unbaked crust with parchment and fill it with pie weights. Doing this will hold the shape of the pie dough and prevent the sides of the crust from slumping to the bottom of the pan during baking. We used our favorite all-butter pie dough recipe with einkorn flour for our pie crust. It isn’t necessary but it really does make an incredible pie crust. The gluten in the einkorn is much different than the gluten in regular flour and it creates a fabulous pastry dough that is easy to handle. We have found that we do not have to pre-chill the dough before rolling it out however if you are in a warmer environment you may need to give it a blast in the chiller to firm up the fat solids. Our recipe for a single crust, all-butter einkorn pie dough is just below the pumpkin pie recipe. 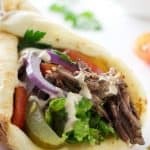 If you want to make decorations and a braided crust like the pie in our photos then you will want to double the recipe so you have enough dough for the decorations. Bake for 15 to 20 minutes then remove the pie weights and bake for another 5 minutes. Remove the pie crust and set aside while you prepare the filling. Whisk the egg and egg yolks in a large bowl. Add the rest of the ingredients and whisk until well blended. 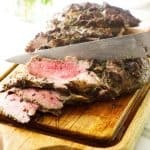 Cool on a wire rack for 2 hours then cover with plastic wrap and store in the refrigerator until ready to serve. Chilling the un-baked pie dough in the freezer prior to baking it will solidify the fat and prevent shrinkage. It is also necessary to add weights to the pie crust while it is pre-baking. If you skip this step the sides of the crust will fall to the bottom of the pan. 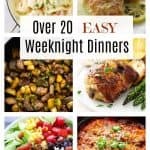 You can use any combination of weights such as rice, wheat berries, beans or store bought pie weights. When the pie is finished cooking the center should wiggle like jello. If it is firm, it is overcooked. If you want to be more accurate with the cooking time then use an instant read thermometer. The perfect time to pull the pie from the oven is when the center reaches 170-175°F. 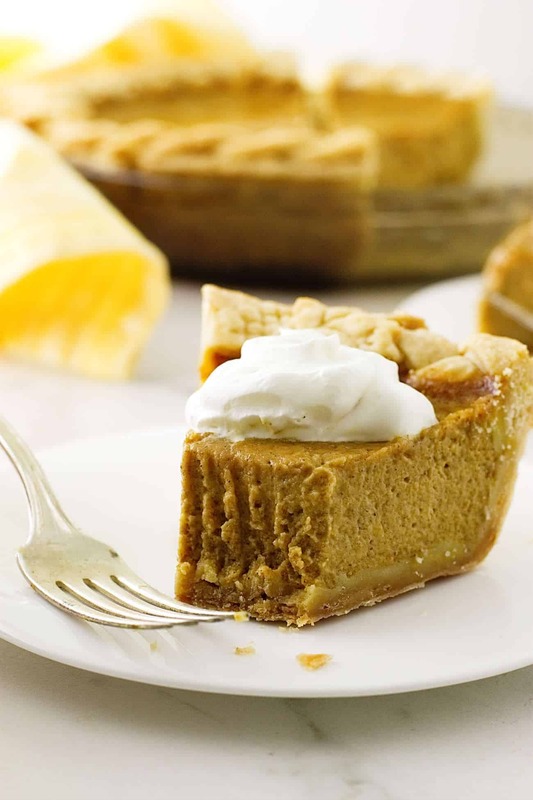 Preventing the filling from over-cooking will ensure that you get a smooth and creamy pumpkin pie. If the pie crust seems to be browning too quickly while the pie is baking then cover the crust with foil. 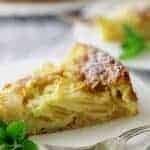 If you want to make decorations with the pie dough like the pictures then double the pie dough recipe and you will have enough dough for decorating. You can make this pumpkin pie 2 to 3 days in advance. Keep it covered and stored in the refrigerator until time to serve. A single crust, all-butter pie dough made with einkorn flour. The einkorn flour behaves almost like pastry flour and makes a tender, delicious pie crust. 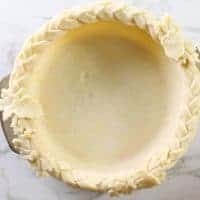 The butter adds to the the flavor of this pie dough and creates a flakey crust.This recipe gives a slightly larger portion of dough than most single crust recipes and will not leave you feeling short changed for pie dough. It is even a large enough recipe for a deep dish pie pan! Add the einkorn flour and salt to the bowl of a food processor and pulse to combine. Cut the butter into small pieces and add to the flour. Pulse for 30 seconds or until only small pea-size bits of butter remain. Sprinkle the mixture with 2 or 3 tablespoons of ice water and pulse the processor for about 30 seconds or until the flour mixture just barely comes together. Do not over-process, it will seem like moist, loose sand but all the crumbs will stick together when you form it into a ball. Transfer the dough to a work surface that has been dusted with flour. Shape the dough into a ball, smashing all the loose crumbs together. Flatten the ball into a disk and wrap it in plastic wrap then refrigerate for 30 minutes or until ready to use. When ready to shape the dough, roll the chilled dough onto a floured work surface. Roll it out until the dough is large enough to fit in the pie plate with about a 2 to 3 inch overhang. Fold the excess overhang under itself and crimp the edges. How would the recipe need to be adjusted if one wanted to use a frozen pie crust? Just start at instruction # 3 and pre-bake the frozen pie crust. No further adjustments are necessary. Enjoy! Wow, i got to give it to you – it’s one of the bests pies, that I have ever had a chance to see. 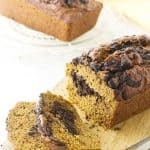 It’s really amazing and thanks a lot for sharing with us this detailed recipe – I will definitely follow it! 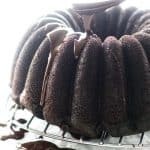 thanks Carla, it’s always a huge hit at our house!